C.H. 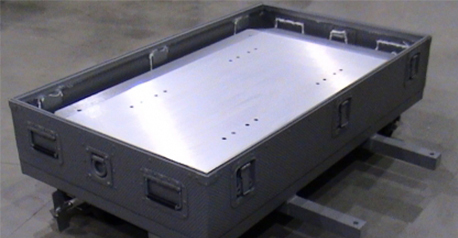 Ellis specializes in rigidized custom aluminum cases. These are the strongest and most reliable cases in the industry. C. H. Ellis realizes that there are times when a stock case just won’t work for your needs. The item or items you are shipping require the ultimate in protection and specific size. Rigidized custom aluminum cases are the perfect answer. They resist marks, scuffs and abrasions because of their rugged diamond pattern. This pattern also increases the strength of rigidized aluminum cases over drawn aluminum cases. 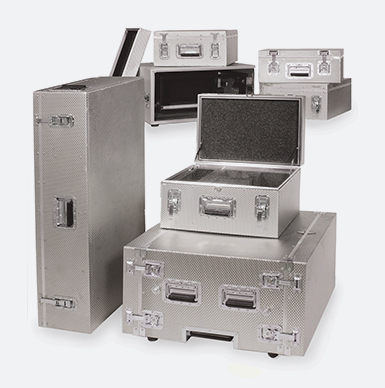 Aluminum custom cases can be set up with a custom foam interior, foam lined or foam filled. 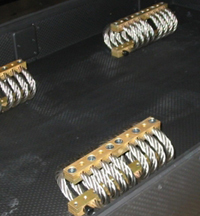 We can even fit them with a rack mount to cushion delicate electronic field equipment. 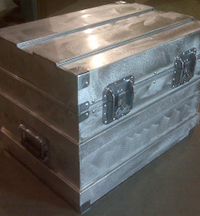 Our aluminum cases are TIG welded. Also called gas tungsten arc welding, the choice for welding when high quality precision welding is require.